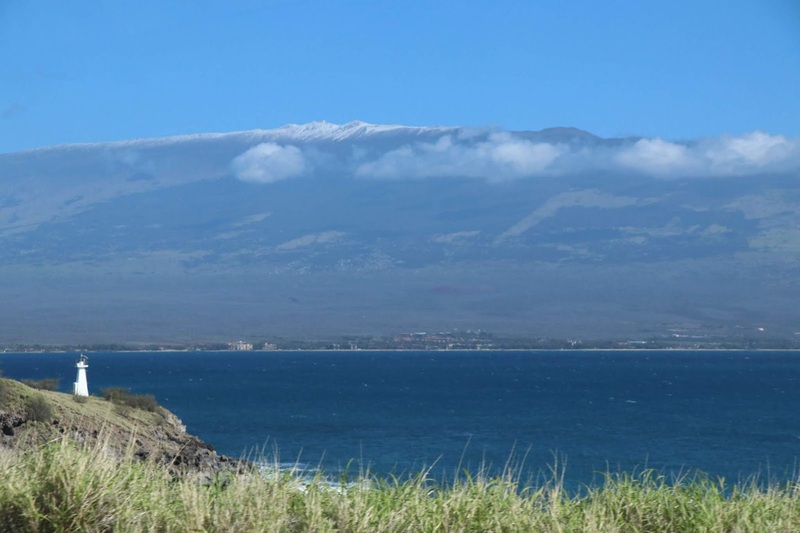 Welcome back to my Maui recaps! 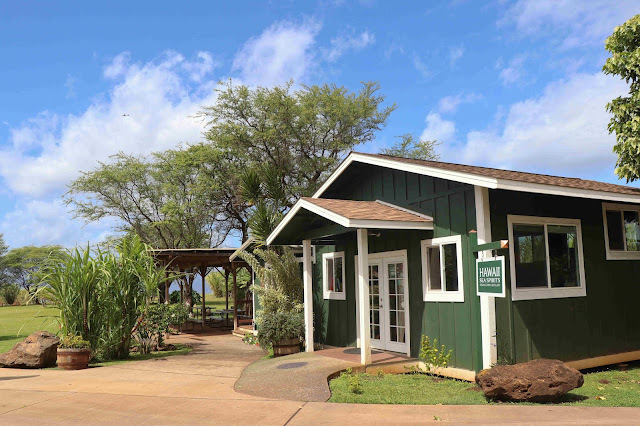 One of the first recommendations I received when asking for advice in Maui was to go to Surfing Goat Dairy. I had no idea what it was, but it sounded cool! 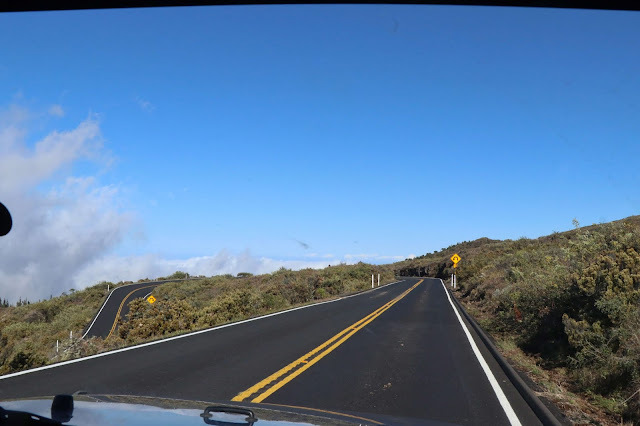 We ended up building a whole day out of Surfing Goat and the surrounding areas as well as a trip up nearby Haleakala to see the crater. 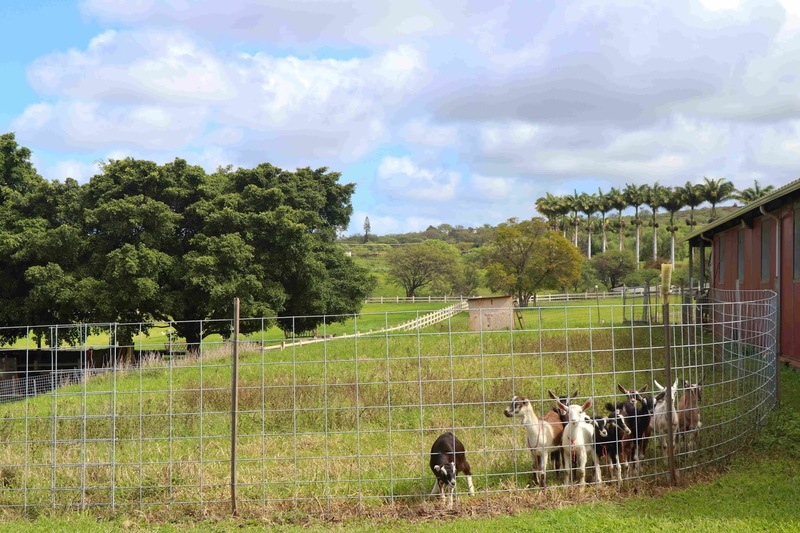 Our first stop of the day was Surfing Goat Dairy, which was about an hour from our hotel in Kapalua. We pulled up and parked besides some baby goats and started walking the grounds. They have a gift shop, a small kitchen, and a few picnic tables in the guest area. We signed up for the first tour of the day and met the resident cat, Emma! 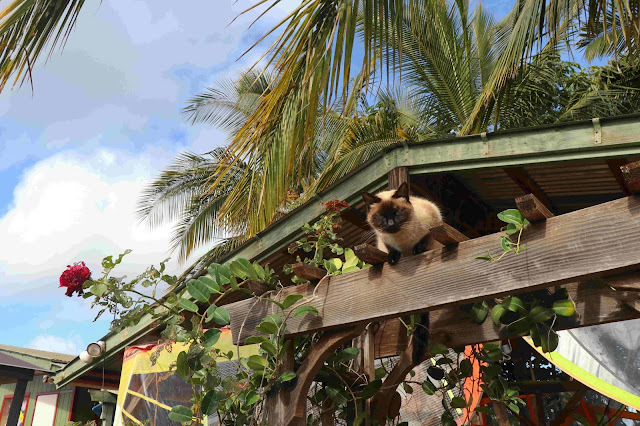 Yes, that's her on top of the pergola in the photo below. On the tour, we learned all about the history of the dairy's name, the goats, the milking process, and even got to feed them. 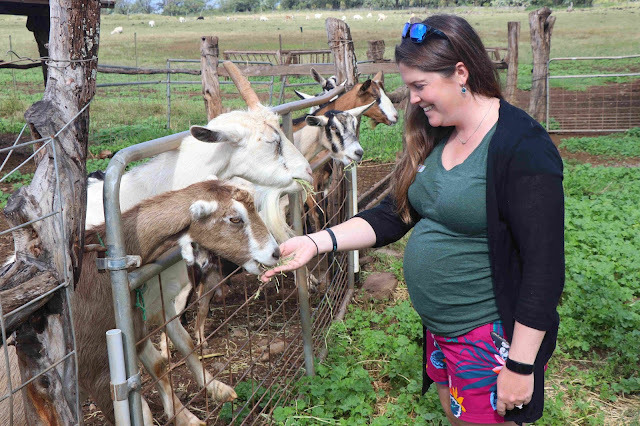 The tour ended with samples of a few of their goat cheese, and luckily, Hawaii is a full-pasteurization state, so I could try everything! Our next stop of the day was right down the road at Ocean Organic Vodka. 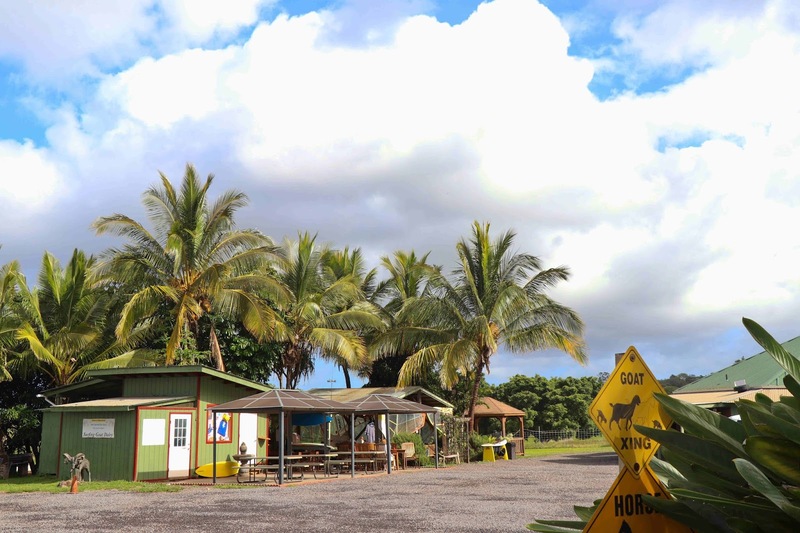 We toured their grounds and learned all about how they make their vodka from sugar cane on their plantation and water from thousands of miles down in the Pacific Ocean. Unfortunately, I couldn't try the vodka and rum (Mike said it was good! ), but I did get a sample a bunch of the fresh sugar cane. After our first two tours, we were ready for lunch and drove a couple of miles to the middle of the town of Kula to try Kula Bistro. 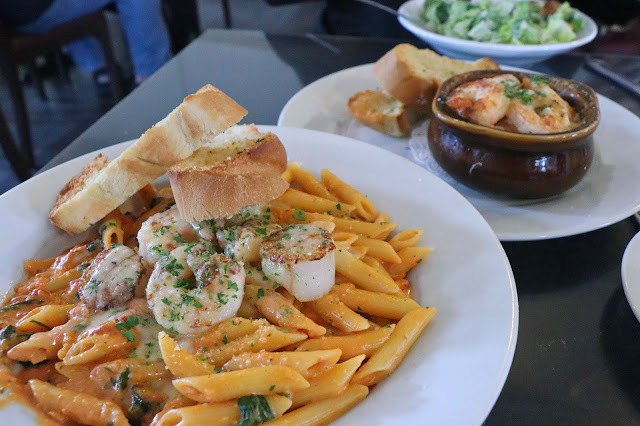 They had everything from Italian to Hawaiian to seafood, so we tried a little bit of everything: Kula pork eggrolls, mac and cheese with shrimp, and penne alla vodka with shrimp and scallops. Everything was absolutely amazing! Next on the list was Ali'i Kula Lavender Farm, just up the mountain in Kula. 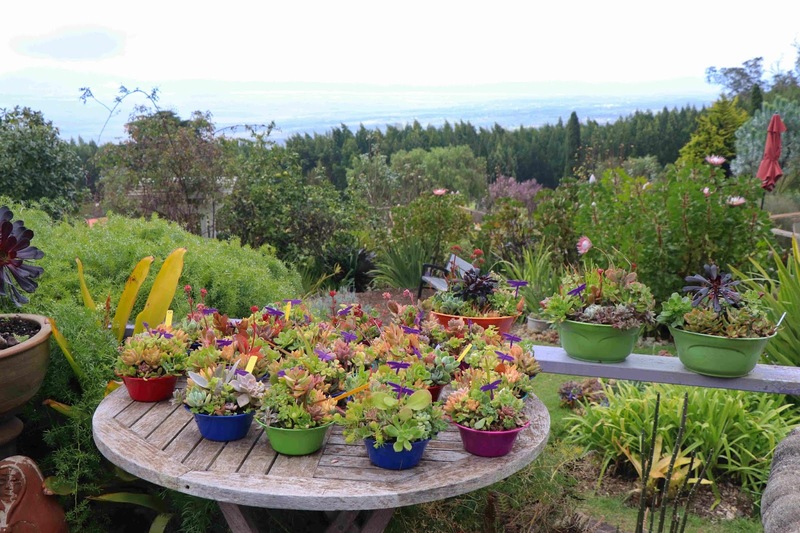 We honestly didn't spend a lot of time there, as we were already a little "toured-out" after the goat farm and distillery, but we walked the gardens and through the gift shop for a $3 per person admission at the gate. It was really pretty and definitely worth a short stop if you happen to be in the area. And our last adventure was to drive up to 10,023 feet through Haleakala National Park. We did have a pay a $25 admission fee per car, but it was so worth it. The switchbacks all the way up the mountain were amazing, and we only got a little nervous right at the top when our Jeep started to overheat. We think it was just the depleted oxygen levels, and luckily, it was fine all the way back down. We seriously went on one of the coldest days of the year. There were 50-60mph sustained winds at the top and with the wind chill, it was hovering around 20 degrees. We walked around for a few minutes at the top and honestly tried not to blow away or get wind burn! It was such an amazing view, and you could see all the way over to the Big Island. 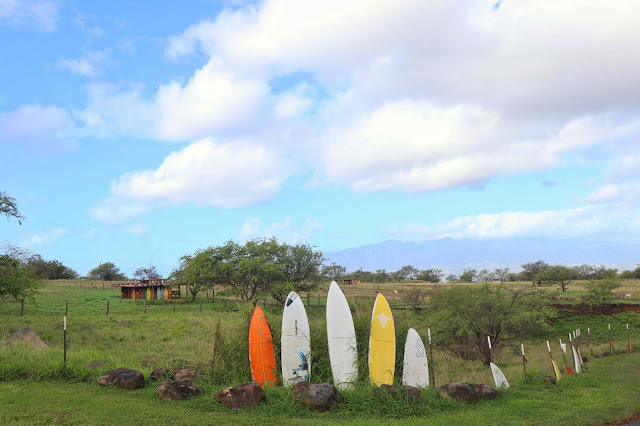 This was a perfect day trip to make the most of the central part of Maui. 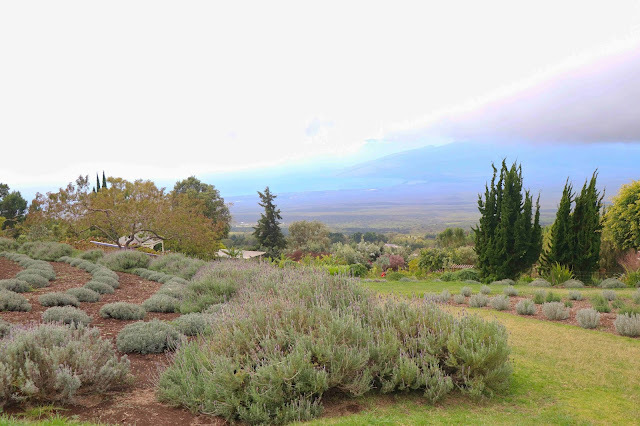 What was crazy is that the following day, snow covered all of Haleakala, almost all the way down to the lavender farm. It had never snowed that low in elevation before, but don't worry, we were still loving the mid-70s weather at sea level! You guys were able to pack a lot into your trip! It looks amazing! 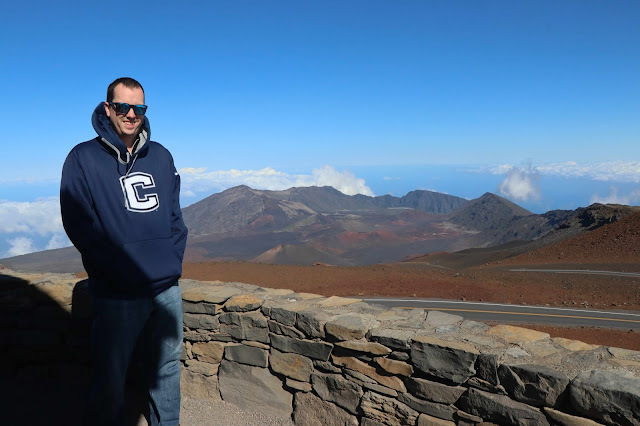 Haleakala has such gorgeous views!